Kids will have fun practicing skip counting by 2s, 5s, and 10s in this FREE Printable April Math Craft for Kindergartners. We love making math fun! 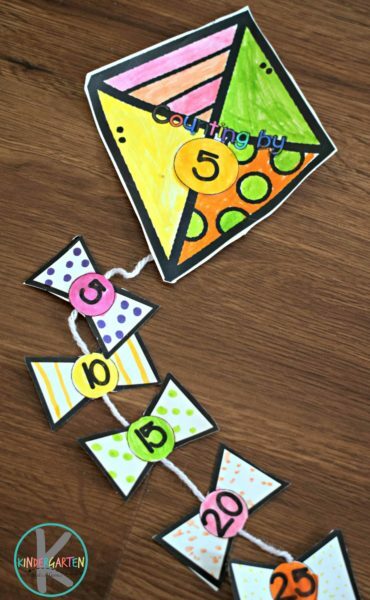 This spring skip counting math craft helps Kindergarten age kids practice counting by 2s, counting by 5s, and counting by 10s with a really fun skip counting activity perfect for April. 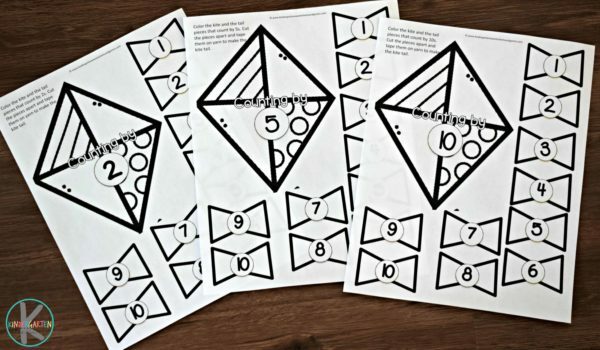 Start out by printing the page (s) for the Skip Counting Kite Math Craft you want to make. 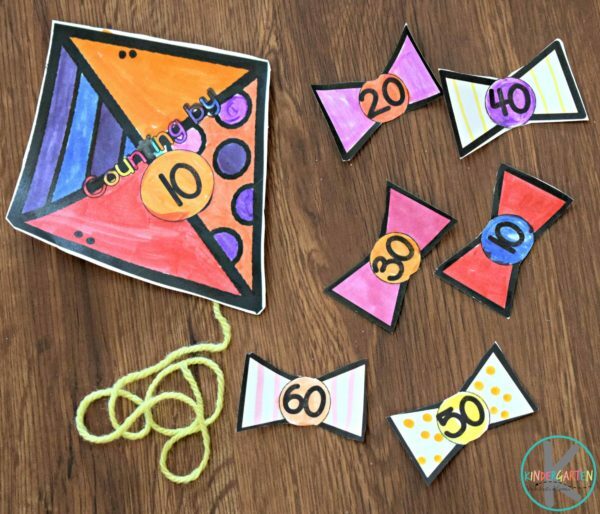 There is a kite for each of the number Kindergartners typically learn to count by: counting by 10s, then counting by 5, and finally counting by 2s. 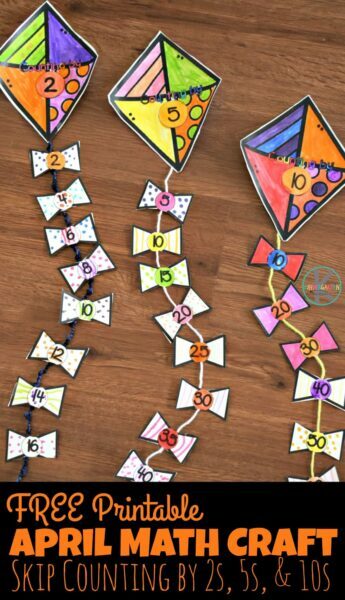 Have students color the kite and all the tassels to skip count by the number listed on the kite. Then, cut out the kite and colored kite tail pieces. Finally, attach a piece of yard to the back of the kite with a piece of tape and then begin attaching the kite tail pieces to skip count in order. How cute is this April Math Craft for Kindergarten? It is such great practice skip counting and makes a beautiful decoration for April too!